It should've been one school shooting, and we should've fixed it. And we totally agree with that. Trump promised to figure things out and expressed support for arming teachers. While some backed the idea, it raised many controversial reactions. And this was not the only thing that made people angry. My friends were brutally murdered and you have the nerve to make this about Russia. Those eagle-eyed who attended the listening session noticed that the president used handwritten notes to help him navigate the meeting. All the items were numbered, including what questions to ask and how to comfort the audience. And some of them may seem ridiculous. Needless to say, the fact that the president needs to be reminded to offer sympathy caused major negative reactions. 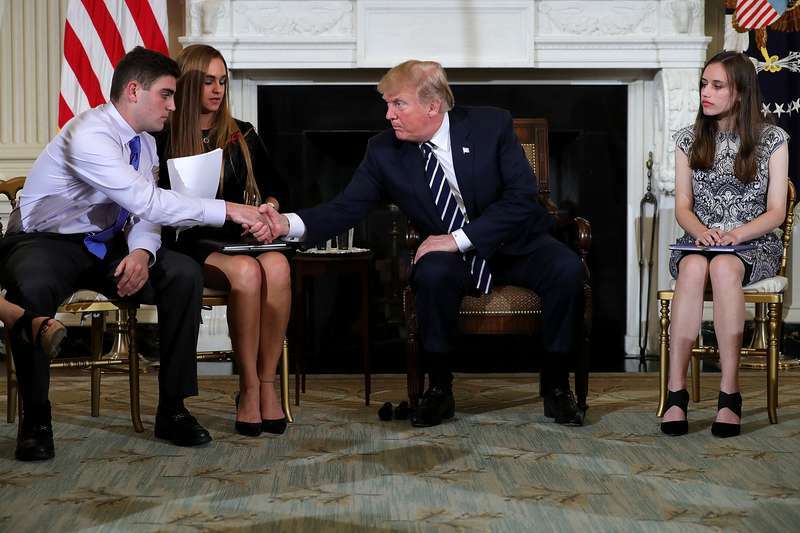 Trump carried a list of five responses to the students and parents appealing to him to prevent school shootings. But we still hope that this meeting was productive, and a real change will come to secure the health and lives of children.